I’m a messy maker. 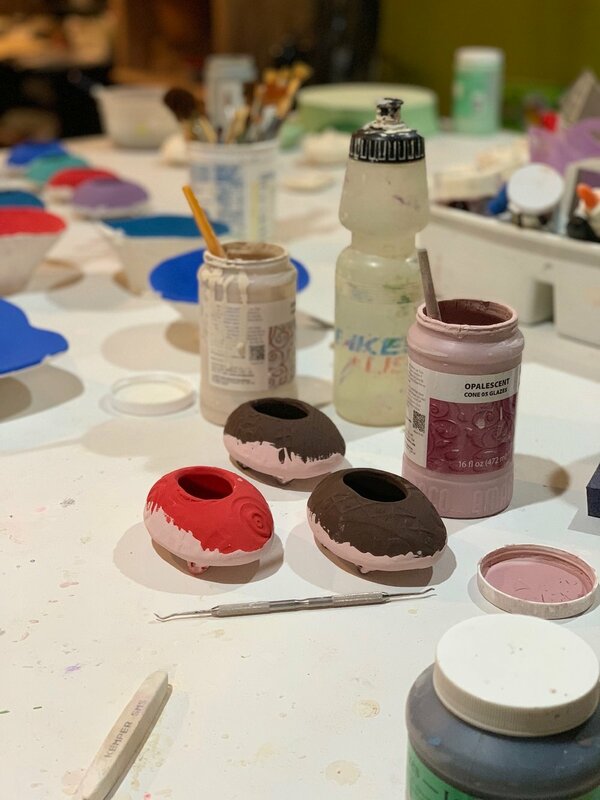 When I’m in the midst of creativity in my studio, I’m typically surrounded by a variety of tools, bit of clay, drops of glaze and pots in process. Clay is a dirty business. And that is one of the reasons I love it. The freedom to produce something beautiful from the creative chaos keeps me coming back for more. I like to clean up too. This may sound funny after describing how much I enjoy the disarray of creating, but for me it completes the process cycle and helps me delve into the next round. I realize I apply this sequence in other creative areas of my life. Cooking for instance. My kitchen gets messy when I cook; but I don’t feel complete until I’ve cleaned up the dishes and tools I’ve used. My nightly knitting corner looks messy with pattern pages, snack bowl, knitting tools and balls of yarn strewn about. In my fiber projects, I purposely sew seams, weave in loose yarn threads, add necessary buttons and block my stitched project to completion before I begin the next. The addictive thrill of starting a new project is hard to resist, but I know I’d never finish anything without those self-imposed rules. 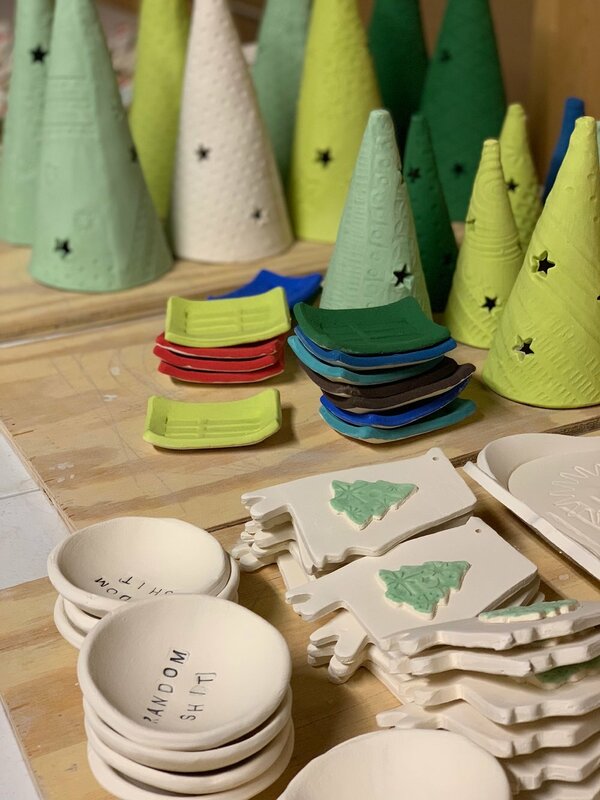 Perhaps I’m channeling the mantra my mother drummed into me, “every job has a beginning, middle and end.” It could also be the early training I had from my clay instructor Winney Owens Hart that clean-up was part of the pottery process. For me, ‘doing dishes’ in all my creative endeavors is a necessary completion of the creative process. 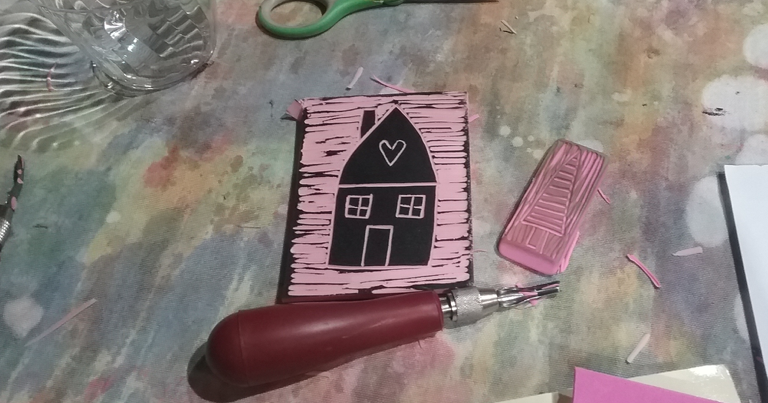 I learned some new print-making art skills this past week in a craft class hosted by The Muse and taught by Courtney Prahl. Comedian Billy Crystal used to perform a funny sketch on Saturday Night Live where he and Christopher Guest would compete with each other about painful things they would do to themselves, always ending with the laugh line “I hate when that happens…” The images they conjured were awful, but we laughed. Fast forward to our current news headlines and that catch phrase from the past takes on a whole new meaning to me. I hate when this happens. Daily knitting results in finished projects and the anticipation of creating more. I have lots of time to think in the studio while I have my hands in the clay-making process. I often say that art is my personal therapy. Hate is such a vile and powerful emotion that I try hard not to dignify it with any wasted energy. Instead, I focus on its opposite — Love— and try to embody that in every way. But hate exists and is fostered and emboldened when we tune it out or ignore it. I hate when this happens. My Annual Open Studio Sale on December 9 this year will benefit the Moms Demand Action local chapter. I have created a special little logo dish to sell at this event. Keep your eye out for details. What is the solution? How do we tamp down the hate and return to compassion? We begin by watching our own language and actions. Are we contributing to the problem or combating it? For me, I think about the people and icons in my lifetime who have embodied love and kindness and try to emulate their example. Anger begets hate; love disarms it. Be kind to one another. I love when that happens. It’s the time of year when hours (and hours) of preparation in the studio crash into looming holiday show deadlines. Choosing what to create, how much to make, facing self-doubt, and emboldened by manic inspiration — this is a familiar scenario. Make, sell, repeat. This pre-holiday crunch is not unique to me; all types of craft artists I know experience this creative clash around now. Good organization skills and attention to the realities of my creative process (how much time it takes to make…) have taught me and helped diminish potential disasters. Also, learning to say no and understand my own creative limits have aided in successfully steering me through this busy season. My Holiday Open Studio this year will benefit the Frederick chapter of Mom’s Demand Action For Gun Sense In America. Stay tuned for dates and further details! As daylight hours shorten and the winter holiday season beckons, it’s easy to burn out from internal pressures to perfect each celebration. Maybe it’s best to ease up on our unattainable expectations; pick the festivities, traditions, recipes and people we’d like to focus on and just concentrate on that. Note to self: Instead of making holiday activities a showdown, concentrate on forging a memorable event that is personally attainable. 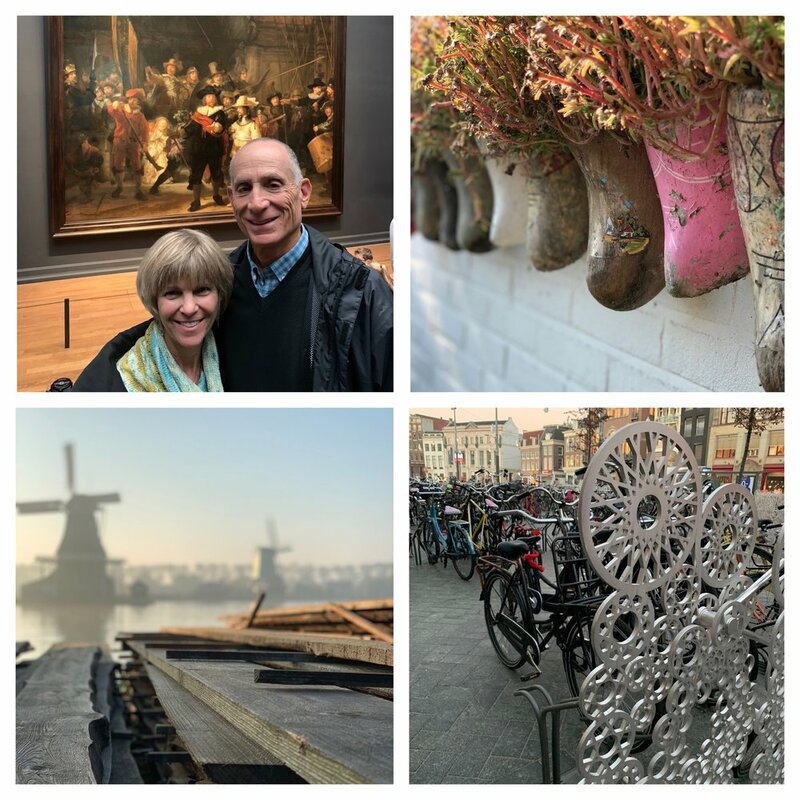 I spent a few days in Amsterdam after our daughter’s wedding before returning to the US. My husband Barry and I had been there together 42 years ago when we were first dating. Our return visit retraced some of the places we had visited then including the Anne Frank House, Van Gogh Museum, Rijksmuseum and a meal of rijsttafel. It was the same and also very different. Exhibits and museums had been updated and improved. The bicycle traffic was impressive. People were still friendly and helpful. Visits to a museum prove that pottery shapes often have an historic reference. 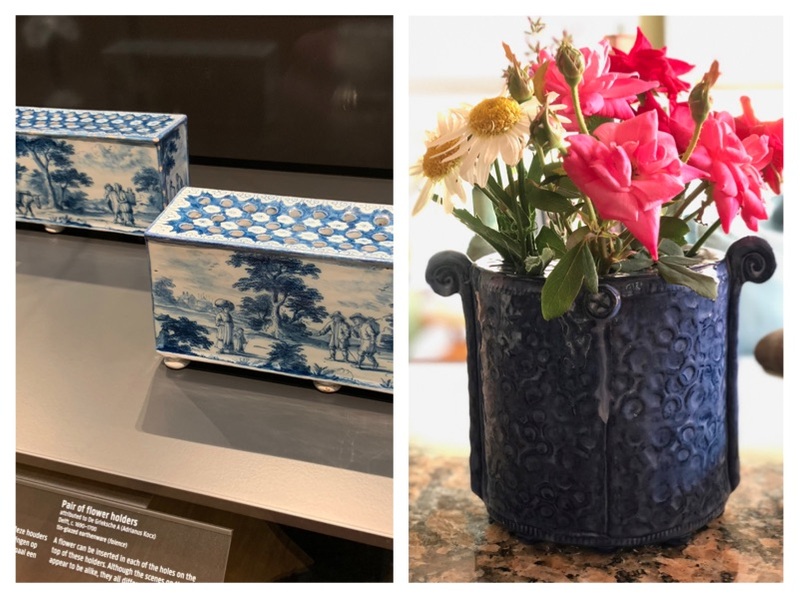 See the Delft flower blocks from the 1600s pictured on the left and then my current interpretation of the shape on the right. For me, the times I’ve spent in Europe are a visceral reminder of history that far exceeds the youth of the United States. Exposure to the cities, the culture, the art, the food and countries’ monuments to the past are a great lesson in appreciating our own circumstances and personal responsibilities to nurture and maintain our own piece of the world. What will our legacy be? What will we leave behind that people will visit and study in future generations? Have you ever seen a yarn bomb? It was fun to run into this fiber covered sculpture in Amsterdam! I like to think of my own legacy in a couple of ways. I am lucky to have two children who will carry the next generation into the future. Perhaps a piece of pottery I make or a sweater I’ve knit will be passed down the line and continue to be useful for years to come. Hopefully my curiosity about the past, optimistic hope for the future and ability to live my present life in some sort of meaningful way will set my personal legacy for the future. Want to make a little shrine to honor something special in your life? I’ll be teaching a Craft Party Class sponsored by The Muse on November 14 in Frederick, Md. 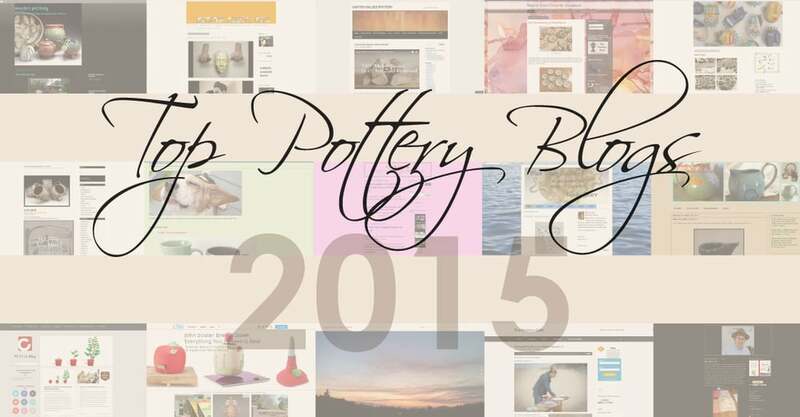 I provide all the materials (polymer clay, stamps, and paints), you bring your creativity (and maybe a friend!) to make this special piece that just might become one of your own legacies! Click on Photo for registration details. My family has come to this inspirational, magical place for our daughter’s wedding. We have spent several days retracing her engagement here last year. Mallory has been to Florence many times including living here (with an Italian family — who attended the wedding) and subsequent overseas travel. She speaks Italian. Allora…The festivities married together the attendees as well as the bride and groom. It began with a food-driven walking tour of the city, a day-before-the-wedding picnic at Boboli Gardens (scene of the proposal), the wedding ceremony overlooking the Duomo, a four course dinner at an iconic restaurant, finally sealed with a private tour, music and desserts at the Uffizi Gallery. Allora…Wandering through Florence meant getting lost, discovering surprises, beautiful vistas, experiencing great art, visits to landmarks, and abundant opportunities to eat and drink and plenty of reason to be merry. Allora…It is a big world filled with lots of people with so much humanity in common. Travel helps us broaden our horizons and appreciate our home base. Ciao Firenze! Until we meet again! By this time next week, my daughter will be married. This time last year, my mother-in-law had just died. This date two years ago, my son and daughter-in-law were married. My emotions are running high. Life events, both happy and sad push us to rise to the occasion. How we react helps us move forward to tackle mundane daily living and big life-changing matters. 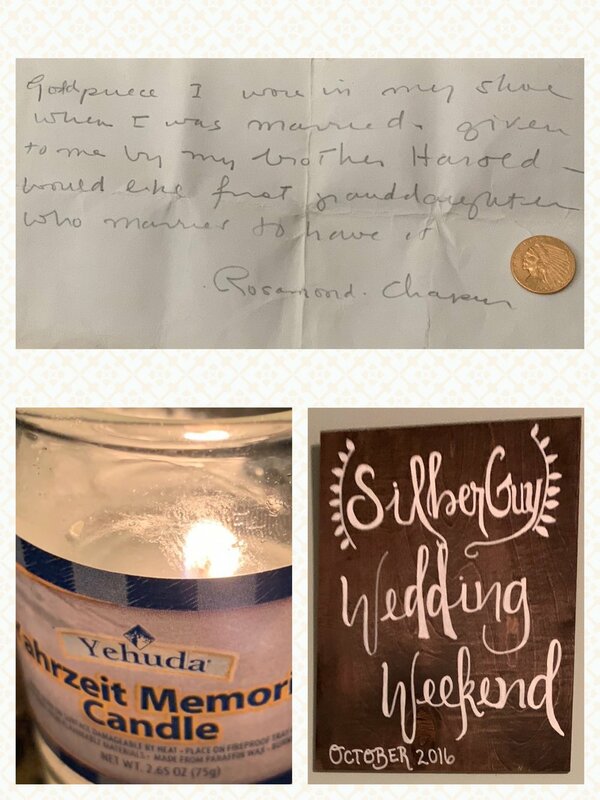 My daughter will carry my grandmother’s gold piece down the aisle; my husband and I lit a yahrzeit candle to honor the anniversary of Helene Silberman’s death; two years ago we were all smiles as we enjoyed our son and daughter-in-law’s wedding and didn’t let the rainy weather wash out the fun and festivities! Years of experience have taught me to roll with the unexpected (my least favorite) and savor each moment. Instead of worrying about what might happen and how I might fail, I’ve worked to be in the moment (thank you yoga), and address any fears of failure head on. My goal is always to do my best. I have been preparing new pieces for my upcoming shows and sales. This stack of pie dishes that just came out of the glaze kiln is one item I can check off my list! Besides pie, what else would you use this dish for? Click on photo to tell me! There is always room for improvement. Life keeps giving me opportunities to rise. Whether it’s creating a new shape in the studio for a customer, learning to bustle a beautiful wedding dress train, appreciating the bravery of others who rise to the occasion, new opportunities continue to appear. What are the ways you rise to your occasions? Click on the envelope below to message me! I’m happy it’s sweater-weather season. The current pattern on my needles combines hand-dyed yarn created and newly debuted by one of the owners of The Knot House in Frederick, Md. 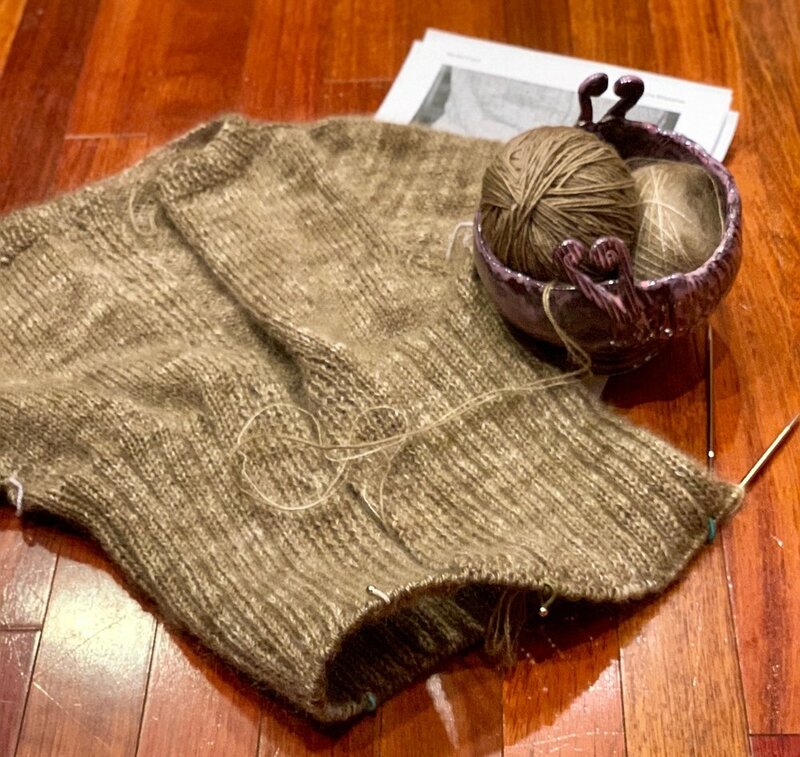 It’s so great when a knitting pattern and the chosen yarn fall into place to reveal the perfect sweater! The transition from summer to fall officially began this past weekend and the cool rainy weather in our ‘neck of the woods’ underscored that changeover. Pumpkin-inspired everything has been evident everywhere in the build-up to the season, so it’s not a surprise that fall is actually here; I welcome the change of seasons, but also mourn the loss of the preceding time of year. Pottery is a messy business every step of the way! My studio has been in fall and winter preparation for weeks. I have self-imposed deadlines to create the pieces I plan to make and sell for the upcoming holiday season. Part of this busy pressure is an attempt to space out the timing of clay production so it doesn’t all crunch together the week before a scheduled show or target date. I am ahead of schedule, but for some reason I’m still experiencing the pressure. Exploring new shapes always helps balance the repetition of making familiar shapes. 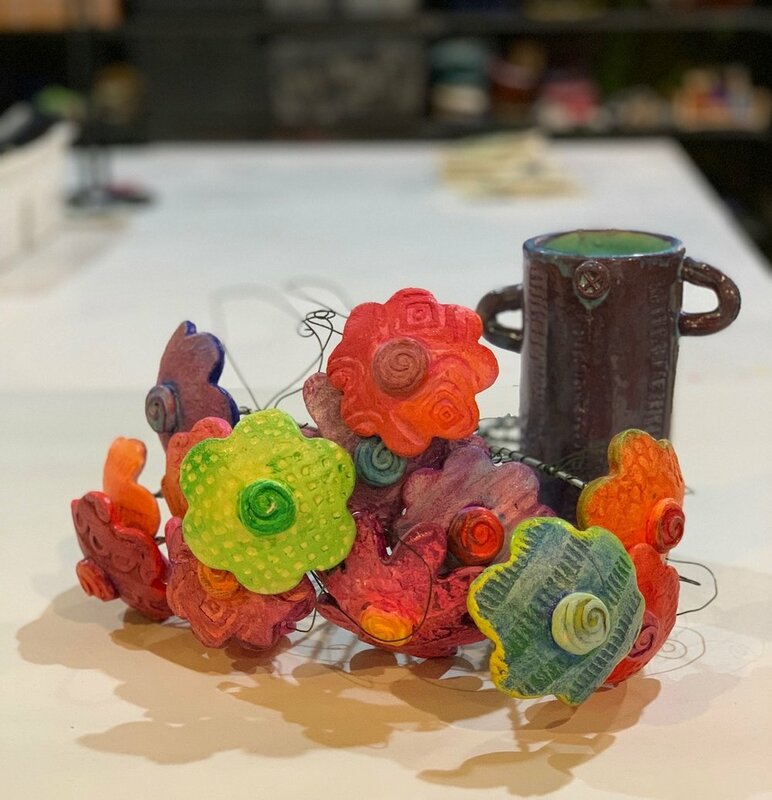 Im testing out these new vase forms in the studio. I think stress is built into the nature of creating pottery. It is an art form requiring attention throughout a long making process. Each step has it’s own pitfalls. Experience helps me avoid these common clay hazards, but from start to finish (at least a two week process), there are many stages where things can go wrong. That contributes to the pressure build-up in making art out of clay. Luckily, my years of clay-making have also taught me in the end that everything tends to fall into place. Planning ahead, sticking to a routine, brushing off the failures, and embracing the process all help me achieve my goals. Then it’s on to the next one! I was lucky enough to hear Paul Simon sing Bridge Over Troubled Water in concert this past week. The lyrics to this iconic tune as well as so many of his other memorable songs ring true to me today as powerfully as they did when I first heard them on my transistor radio, record albums or in the classic movie, The Graduate. Music can bind together gender, generations, culture, background, race, and religion. It is a universal bridge. This little village of Historic Huntsville Homes are part of a custom collaboration I’ve created for Harrison Brothers Hardware in support of the Historic Huntsville Foundation. As powerful storms wreak havoc on so many of our neighbors in the United States and the world, it’s hard not to think about bridging the troubled waters life presents us with. How can we connect together as the world around us swirls apart? Bridges come in all sizes, shapes, and forms. They are a link that join together. This custom order wedding bowl will soon be gifted to a newly united couple, bonded together by the vows they are about to promise before friends and family. Bridging can go beyond a physical structure. Daily living gives us ample opportunities to unify relationships, connect within our neighborhoods, and reach out to understand parts of the world that are so different from ours. Bonding together helps strengthen all sides. Be the bridge.